Tis a thing of beauty. Cars from before roughly 1980 just have so much more character. And look at how tiny that is. I bet you it blew blue oil smoke, they always did. My parents mid/late 80s 2.0lt Sigma was sick. To drive, I’d go as far as to say it beat their EH & HQ. Just spent a few months in central Asia, where old Lada 4x4s are still by far the most common car. They’re amazing. 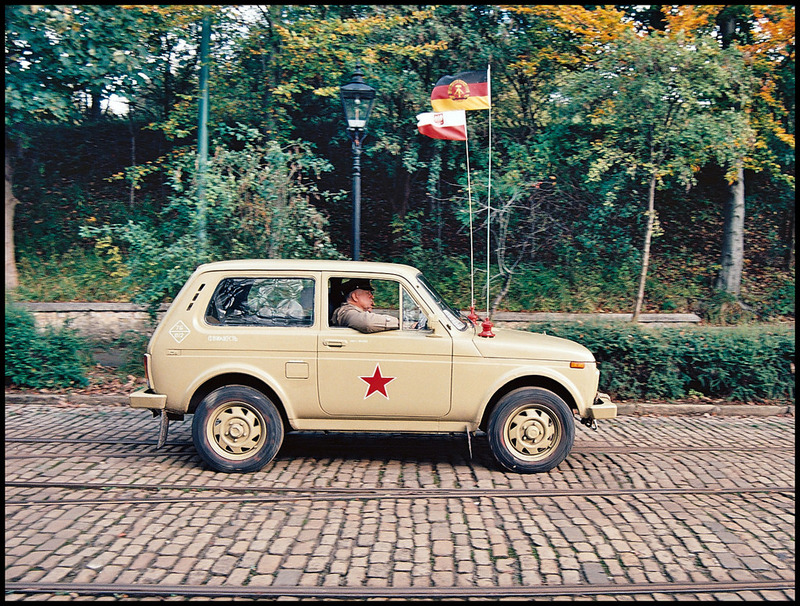 With an East German flag too. Wow. As related to my impending move into my new house… does anyone have suggestions for removalists? Only going from the city to the inner west and only have a small apartment’s worth of stuff. Used minimovers last time but they don’t do inside sydney moves anymore, and saw some recommendations on a different forum for menthatmove but keen to hear if anyone’s moved recently and have recommendations. First car I remember my parents owning was a “Poo Brown” Sigma station wagon. We were t-boned at a roundabout one day but being the tank they were she was repaired and back on the road in no time. As the car had been in a pretty big accident and was getting on in years, my father wanted to get a new car. On the way to the dealership my brother, sister and I were told in no uncertain terms not to mention the accident. As my father and dealer were discussing terms I pipe up asking the dealer “do you know why these blinkers are different colours?” I still haven’t received his answer but I am sure my parents did in the form of a reduced trade in price. Sigmas, Pavlova, Phar Lap and Crowded House: Australia’s 4 greatest contributions to the world. Love how pretty much none of those things are originally Australian (Pavlova is still up for debate). I moved into my flat two years ago using Two Men and a Truck. They were recommended by the Body Corporate. With removalists there are good options and cheap options but no good cheap options. How does one spend a few months in Central Asia? Quit the job and go on an adventure? I haven’t had a holiday in 15 months due to changing jobs twice in the last year, and will hit 16 months without one before a much needed 2 weeks off, looking forward to 5 days in Port Stephens around Christmas. I quit mine and other half took a year off. I see. Something I should have done before having children… carry on. That was the point, really. I probably should have put Russell Crowe in there as well but cross him out to reflect being able to disclaim said contribution when they fall out of favour with the public. Sam Neill he certainly isn’t! Was that 1970 colt sold in Australia?